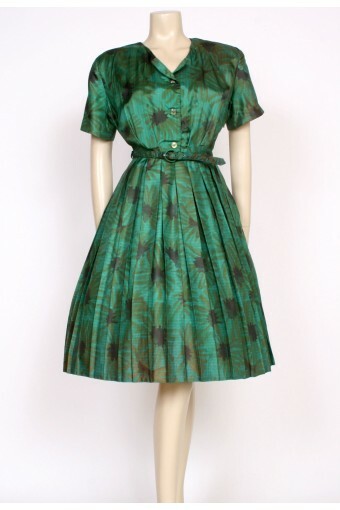 Ooooh this is a cutie! 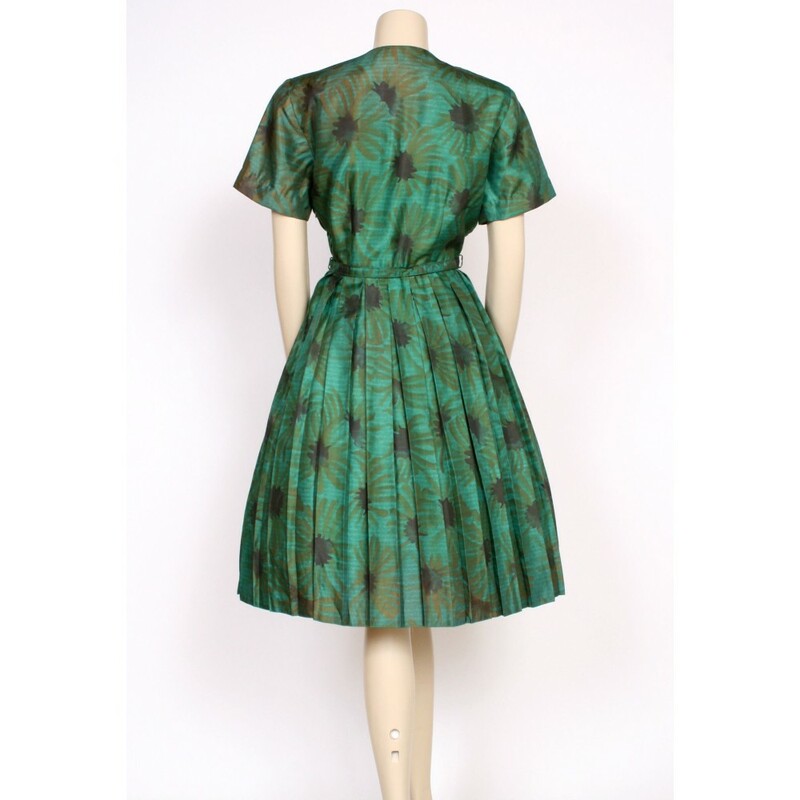 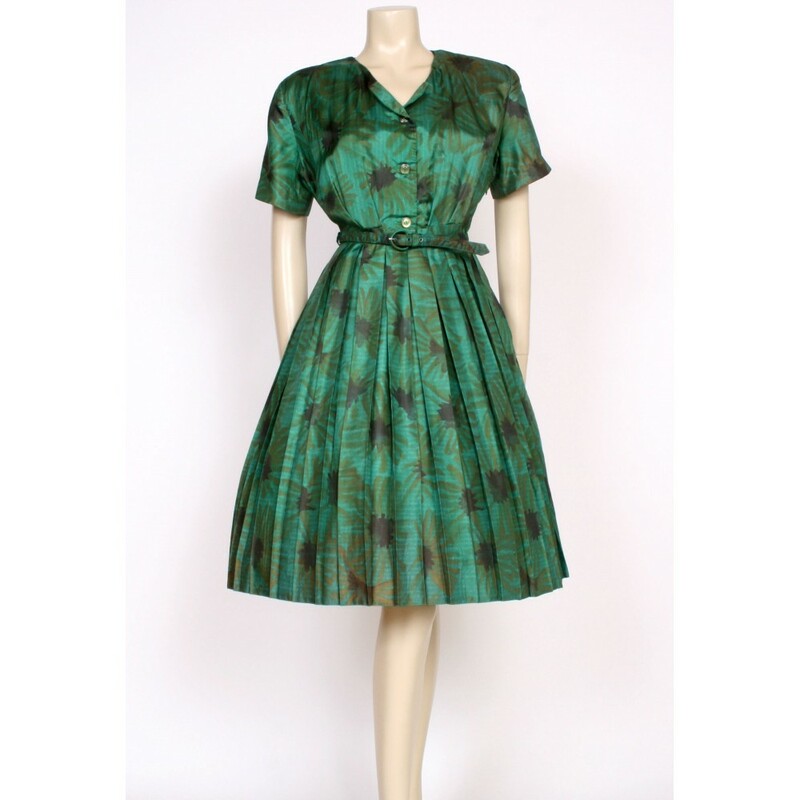 A great 1950's dress, made in New Zealand, which is just perfect for work or days out, this will work all year round and would look equally gorgeous with tights and ankle boots or sandals and bare legs, a definate winner! 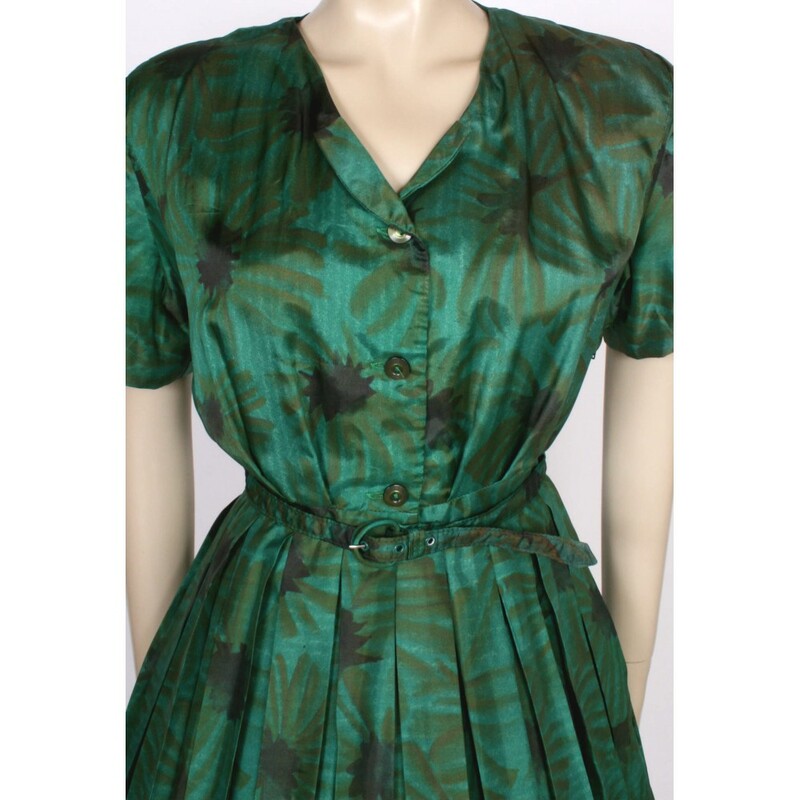 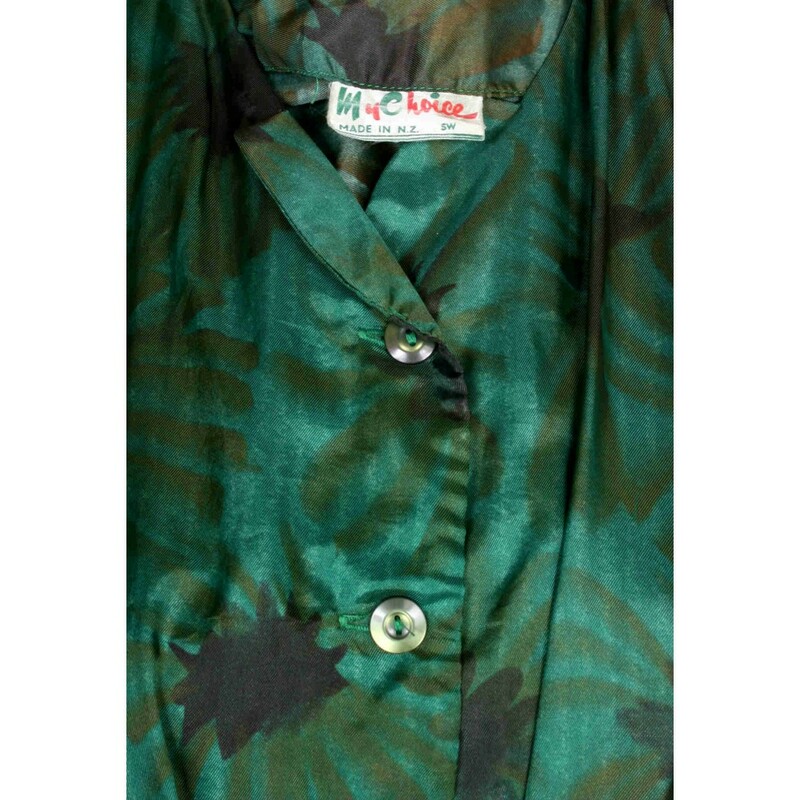 Silky rayon fabric, gorgeous emerald green with subtle print all over, short sleeves, side zip, button-up front and cute collars, amazing detail at the waist and scrumptious box pleated skirt...and it has it's own original matching belt too, divine! 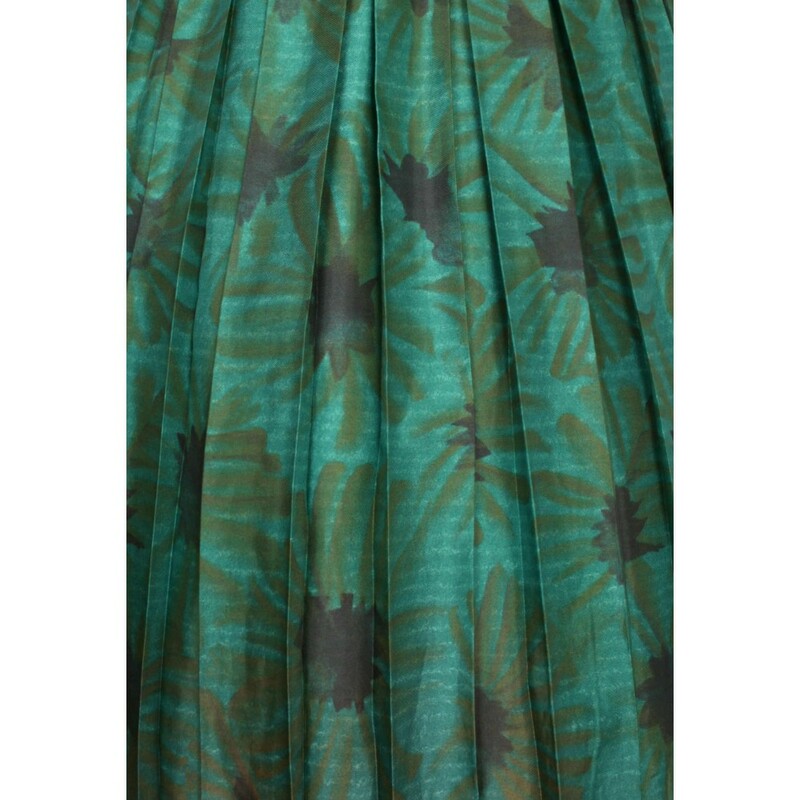 Size UK10; bust 36-37", waist 27", length from waist seam to hem 23.5"
excellent used vintage condition, there are 3 teeeeny pin-head sized holes in the skirt (one at the front and one at the back) which are very minor but worth noting.